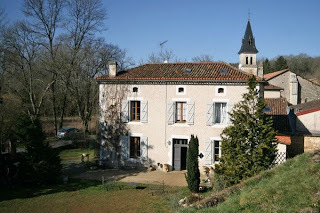 Beautiful village house in the heart of the pretty market village of Cazals. 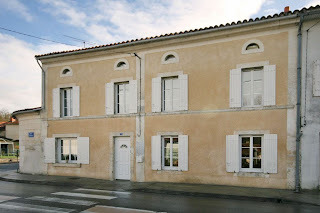 This former bakery has been sympathetically restored to offer wonderful French living in the centre of the popular village of Cazals. 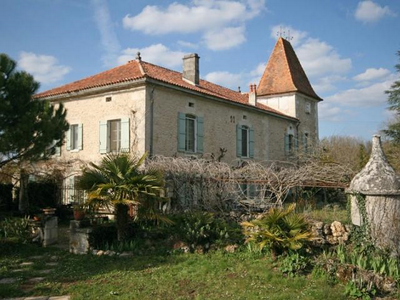 An imposing stone property comprising of a principal house with three attached gites and a swimming pool set in large gardens – a ready made business! 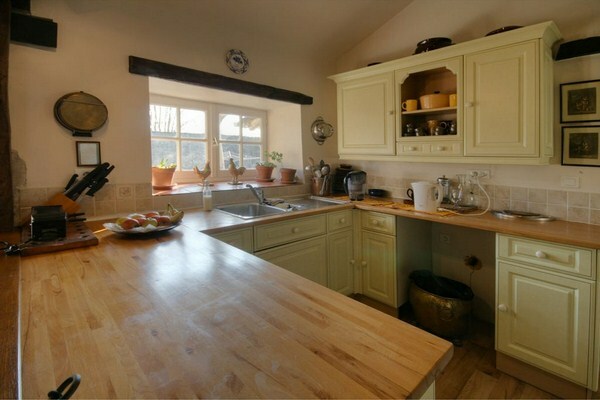 The property occupies a rural setting in beautiful rolling countryside and is accessed via a private driveway. At the heart is the grand principal residence which is in good decorative condition and offers many original features. It is worth noting that the current owners are including in the sale price all the bed linen, towels and much of the furniture required to run the three existing gites. The grounds extend to over 5000m2 and consist of sweeping lawns with mature shrubs and trees, a vegetable garden and the freeform swimming pool which is fully fenced to provide security for children. Situated in the beautiful Perigord National Park, this lovely small Manoir is located in the Perigord Vert region of the Dordogne. 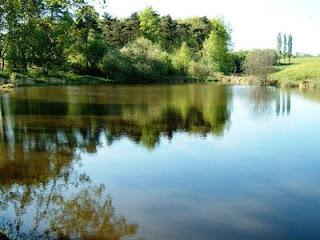 Built in 1870 it is set amongst 12 acres of its own parkland and includes 2 acres of woods and a 1 acre fishing lake stocked with carp, roach and trout. This beautiful house has been superbly and sympathetically restored to a very high level over a 5 year period and offers 3 large bedrooms (including an entire top floor apartment), 2 bathrooms, a dining room, lounge, well equipped kitchen, and a utility room. 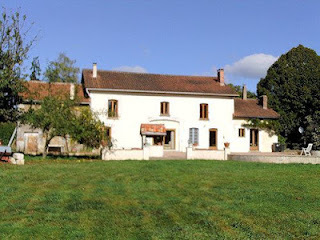 The property is overlooking a beautiful village, where you will find a variety of restaurants, a boulangerie, charcuterie, pharmacy, general store and a local school. The current owner has completely renovated this property including the fitting of a new roof, insulation and double glazing. It now features a modern fitted kitchen, superb family bathroom and a large lounge & dining room, plus 4 bedrooms. 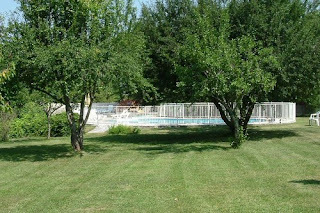 To the rear of the house is a graveled courtyard garden that sits behind high stone walls thereby offering total privacy. 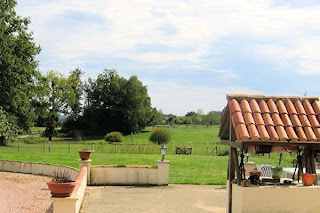 There is a covered terrace and a good sized barn that can be used as a garage and for storage. 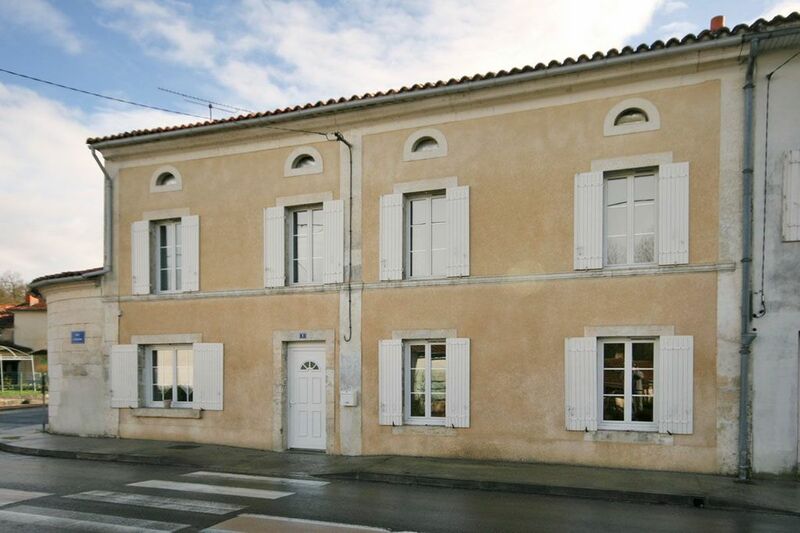 The property fronts onto a road within a pretty village and is located just 2km from the popular market town of Riberac with a large supermarket just 1km away. 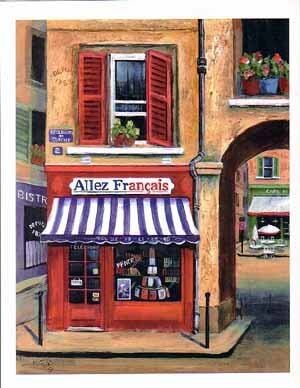 The international airport in Bergerac can be reached in about one hour. 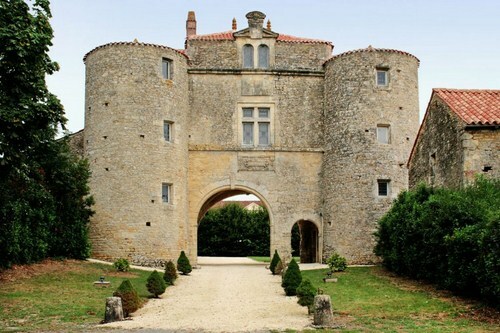 A luxurious 14th Century Château, nestled in the heart of rural Vendée, within easily managed landscaped gardens of 6,393m² with an in-ground swimming pool. This stunning property oozes character, with magnificent stone spiral staircases, but maintains a truly homely feel despite the historic links. 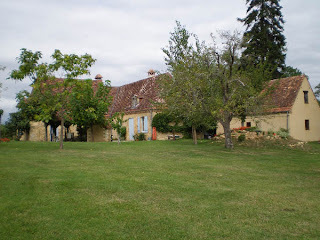 Close to the property are the delightful villages of Vouvant (Plus Beaux Village status), Fontenay le Comte and La Chataigneraie. The Chateau is ideally located to facilitate day trips to beautiful Île de Ré and historic La Rochelle, whilst the spectacle of the theme park of Puy du Fou is also within easy travel distance (30 mins). 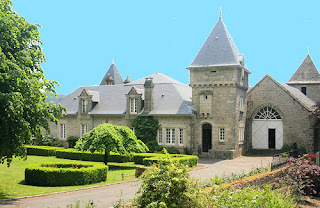 This stunning renovated small château has been meticulously brought up to C21st standards of comfort, but the essential character of the original build. You enter the grounds through electronically controlled gates, from the village and down the sweeping drive to the front of the house. An imposing 4 bedroomed Maison Bourgeoise, renovated in 2007 with great style and quality, set on the edge of a pretty village. Priced to sell quickly and offering excellent value for money, this superb property is for sale at a non-negotiable price. 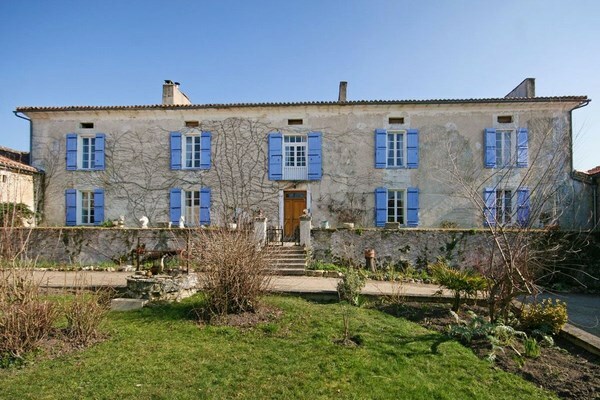 This 19th Century house is quietly situated on the edge of a charming village which nestles in a valley within the picturesque Perigord Vert. 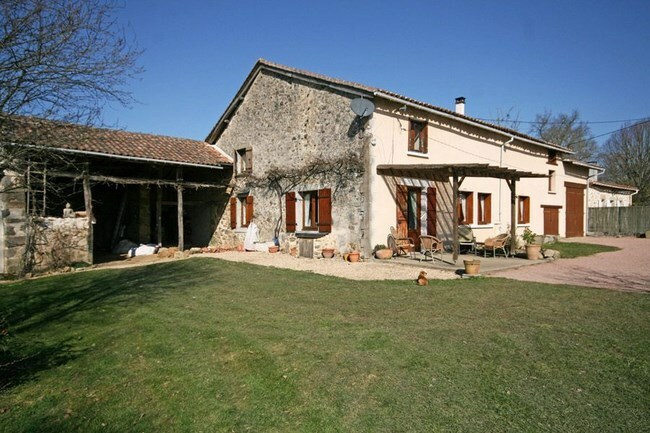 With a good sized garden and lovely views across the valley, this property is ideally located to take full advantage of all that is on offer from this highly sought after region. 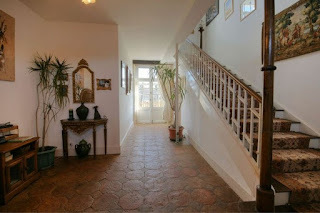 The property was subjected to a thorough renovation in 2007 which included complete re-wiring, the installation of oil fired central heating, linking up to the mains drainage system, fitting of luxurious new bathrooms and a new kitchen. 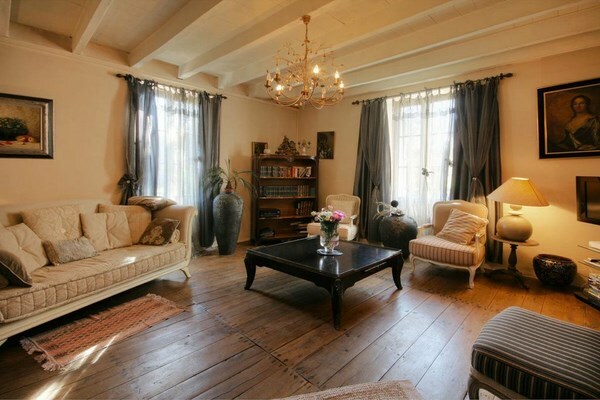 The renovations used only the finest quality materials and succeeded in retaining many original features such as wooden beams, stone fireplaces and exposed wooden floors. The vendors have proudly transformed this beautiful property from a virtual ruin into something magnificent that is rare to find currently. 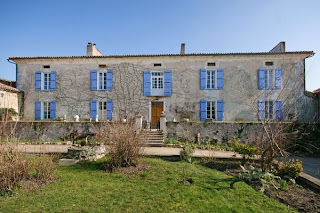 A really beautifully renovated Perigourdine house in exceptional grounds. The restoration was finished in 2007 and having been finished to a high standard there is no further work needed. 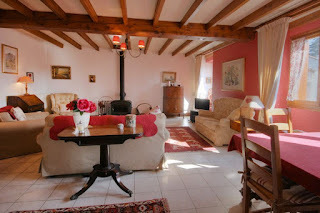 The house has gas-central heating and reversible air-conditioning in each of the bedrooms, so offers all modern comforts. 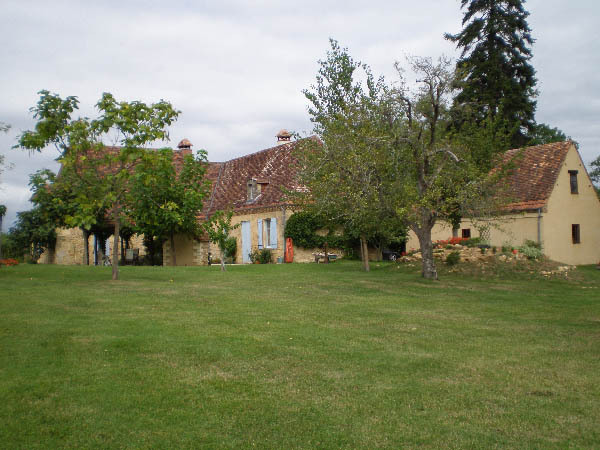 The property is about 15 km from Le Bugue another wonderful market town on the River Vézère, 29 km from Périgueux the capital of the Dordogne and within an hour of Bergerac airport. 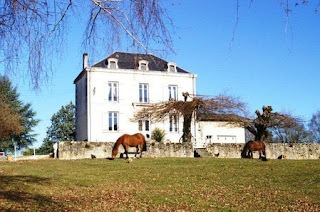 An outstanding example of an Equestrian Estate which includes an imposing Maison de Maître with a swimming pool; two Maison D’Amis; a Studio Apartment; 11 stables, a tack room, over 7 hectares of excellent grazing paddocks and a good range of barns and outbuildings. This property presents an excellent commercial opportunity to create an equestrian based holiday destination and offers real value for money at this newly reduced price. 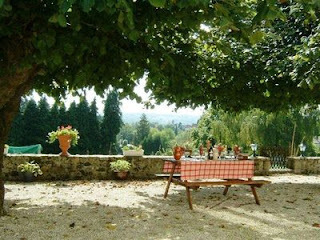 The setting is on the edge of a quiet hamlet within some of the most beautiful Dordogne countryside. 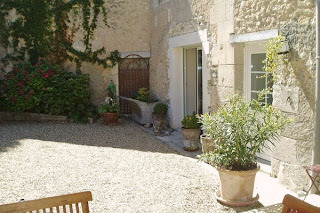 There has been a site here since medieval times whilst parts of the main dwelling are believed to date back to the late middle ages with later additions made in the 18th and 19th centuries. The main buildings are set around a courtyard that is accessed via a short driveway. All the buildings are in good condition and the living accommodation is first class with a combination of oil fired central heating, open fire places and log burners providing that homely feeling. The equestrian facilities include an all weather schooling ring, a secure tack room, a number of well drained, fenced paddocks and a meadow used to provide hay. Floor plans and a virtual tour available. A 2/3 bedroomed renovated stone cottage in a rural setting with over one hectare of adjoining land – outstanding value at this newly reduced price and with potential for further development. 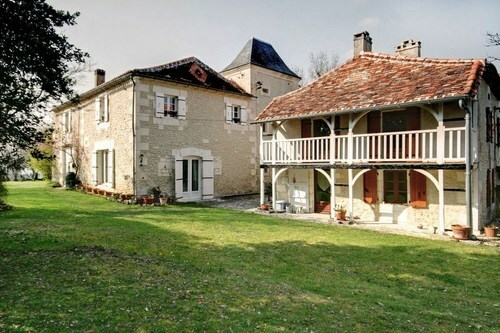 Located midway between the small towns of Montbron and Saint Mathieu, this property sits on the meeting point of three different departments – the Dordogne, the Haute Vienne and the Charente. The surrounding countryside is simply stunning with a mixture of woodland, rolling pastures, lakes and tumbling streams. Nontron (24). 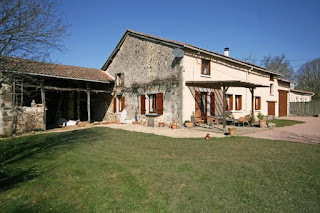 Fermette / smallholding with 7 bedrooms and over 2 ha of land. This property offers a great opportunity to establish a smallholding and to pursue an alternative lifestyle but, with seven double bedrooms, it could equally operate as a bed and breakfast business. 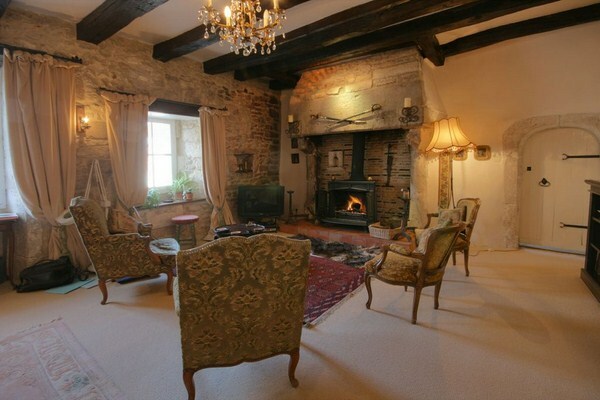 The house is ready to move into having been completely renovated with many original features having been retained including stone fireplaces, exposed beams and exposed stonework. 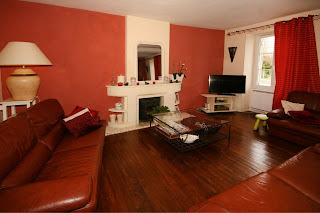 Modern comfort is provided by the oil-fired under-floor heating which covers all except one room of the ground floor and radiators in the first floor rooms. 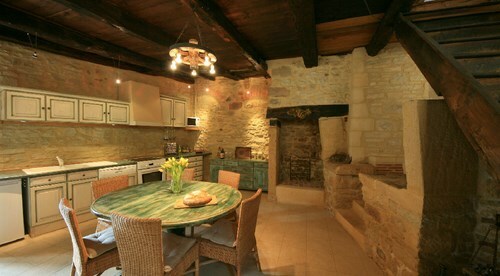 A wonderfully atmospheric stone village house with three bedrooms; formerly a convent dating from the 15th century. The simple façade of this property belies the remarkable interior that greets you within. The sympathetic renovation has created a spacious and high quality interior whilst retaining a host of original features, most notably the three sizeable stone fireplaces. 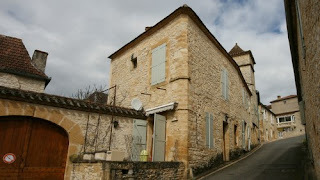 A castle used to stand on this site and evidence of this can be seen in the thick stone walls on the ground floor. After the castle was destroyed, a convent was built in the 15th Century utilising a section of the remains and was reportedly home to six nuns. 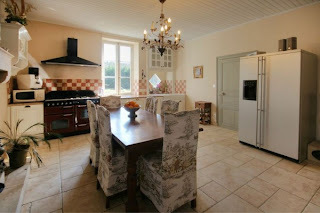 More photos & floor plans available.